Do you use Microsoft Dynamics (outside of our Stoneridge Software link for Dynamics 365, AX, & NAV), Sage, MYOB, Oracle, or SAP? We've got you covered! 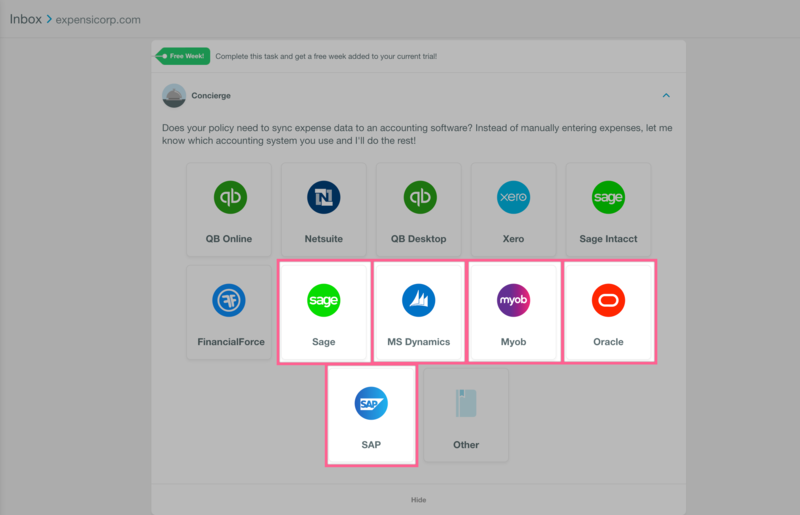 Along with the direct integrations Expensify supports, there's also an option to integrate with other accounting solutions via a flat-file import. 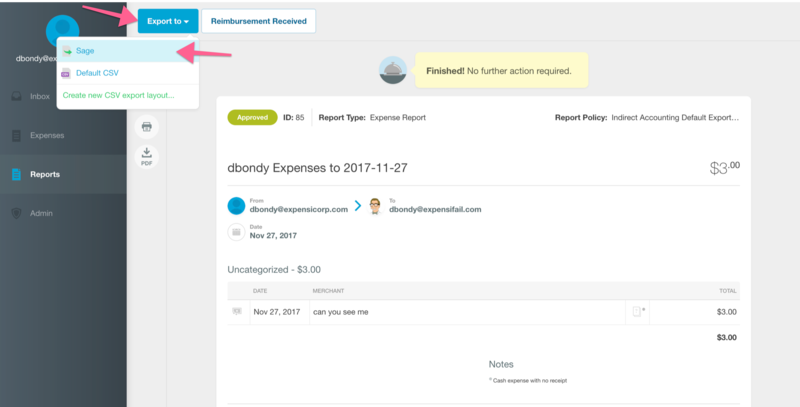 When you select one of these accounting packages on the Accounting Inbox task, Expensify will automatically create and add a relevant Export Template for you. 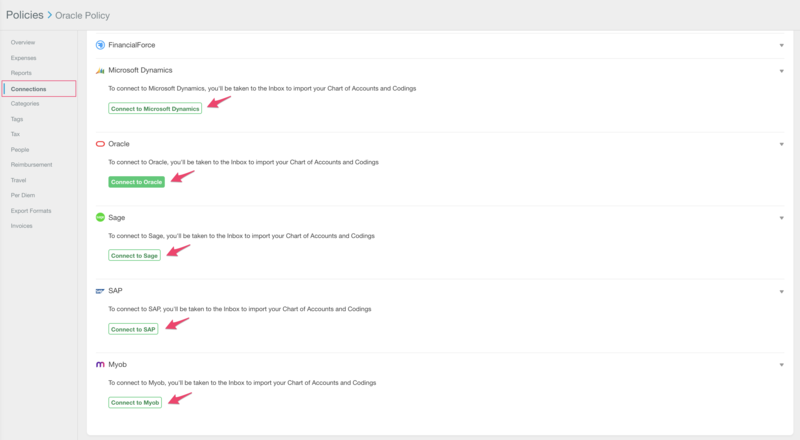 The template will allow you to quickly and easily transfer report data to your accounting package. 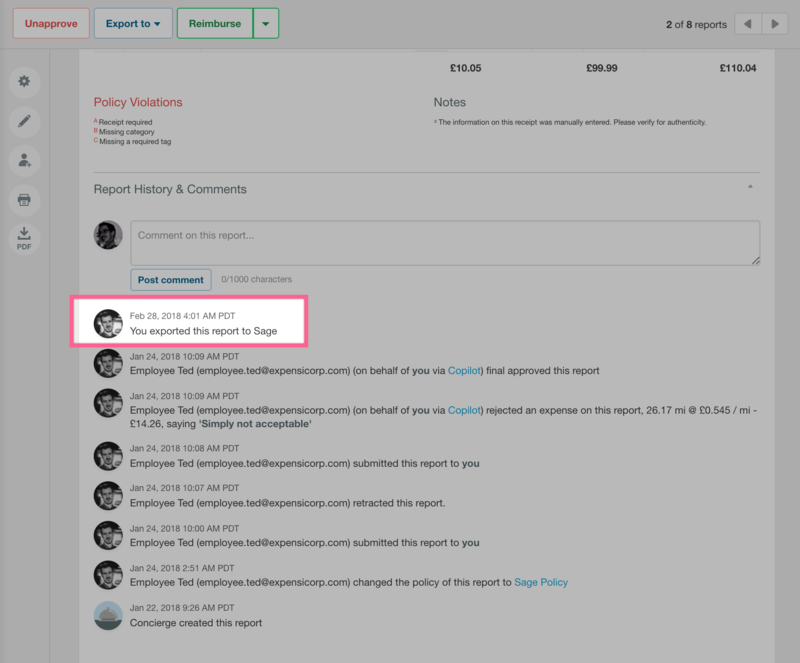 In addition to the direct integrations developed by Expensify, the export templates offered here and via CSV upload, there are currently two connectors built by third parties and vetted by Expensify for quality. These allow seamless connection to Microsoft Dynamics 365, AX, & NAV and Sage Financials and Sage Accounting respectively. I can't find my export template. 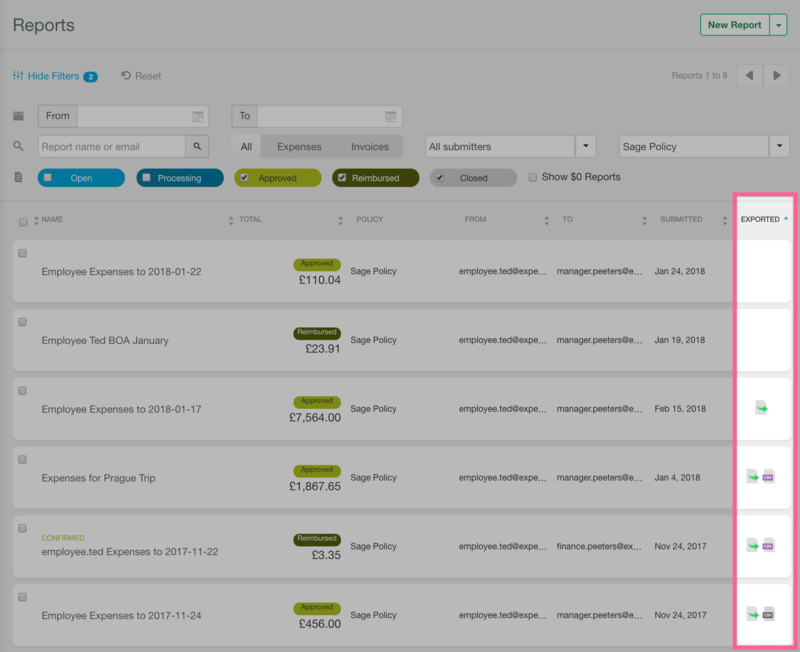 Templates have been automatically placed in accounts starting early March 2017. 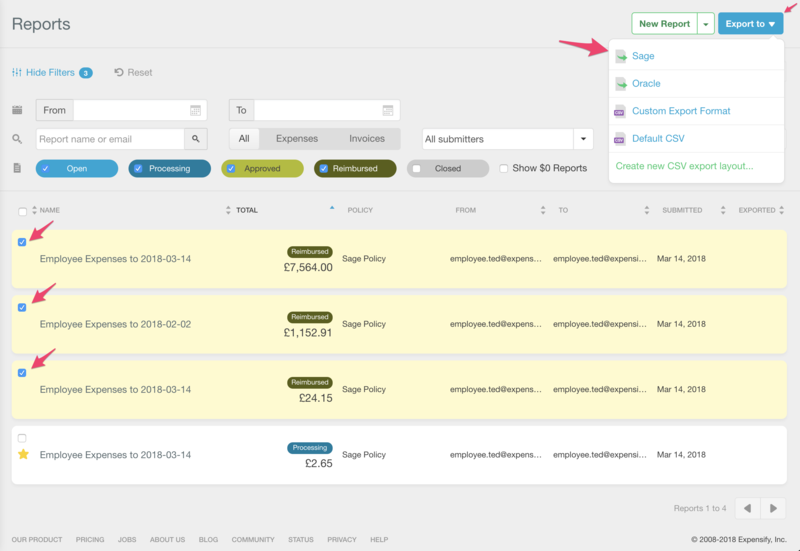 If you've chosen an indirect accounting integration before that date, simply head to Settings > Policies > [Policy Name] > Connections page and select "Connect to" for the template to be placed in the account.